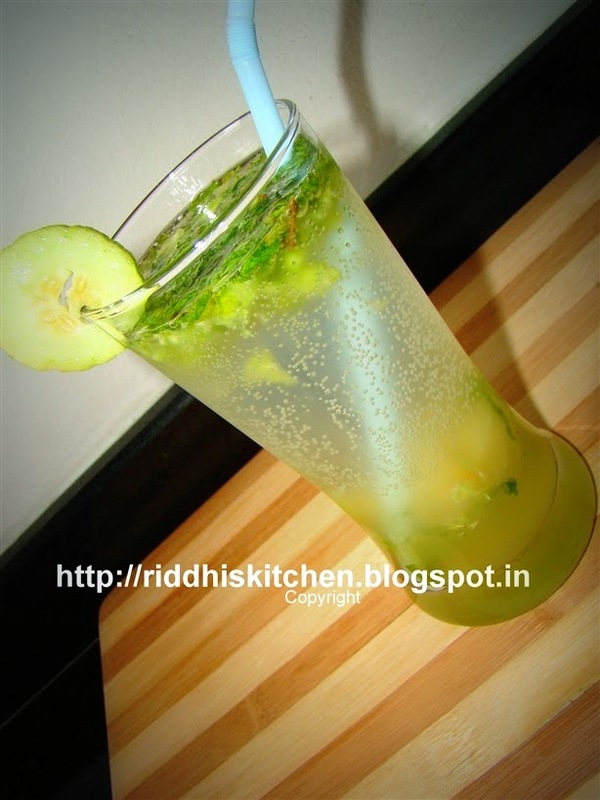 Take one bowl, add cucumber juice, chopped mint leaves, chopped cucumber, lemon juice, sugar and mix well. Take one serving glass and pour this mixture, add musk melon bolls and mix well. pour aerated water and serve chilled.